Close friends for nearly two decades, Charlie and Matt are about as different as could be. Quiet, reflective, analytical and artistic, Charlie has a love of delving into books and soaking up all he can. Enthusiastic, adventurous and scholarly, Matt is as likely to be lost in a range of remote mountains searching for mythical places as he is to be lost in a library looking for arcane lore. Their divergent interests led them to have long and thought provoking conversations on everything from history and science to comics and video games in university but ultimately ended up taking them in opposite directions as the years rolled by. Charlie went into computer programming and then moved on to co-found Bookfinder.com while Matt combined a passion for paleontology and a love of writing to become a science journalist and is currently a science correspondent with The Economist in London. Then, in 2010 their conversations re-emerged. 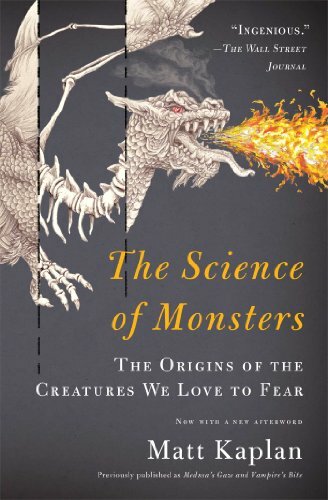 After giving a series of lectures exploring some of the realities that might lie behind the monsters found in a lot of mythology, Matt was approached by the publishers Simon & Schuster to expand his lectures into a book. As he hammered out the text, he frequently found himself on the phone bouncing ideas off his toughest critic, Charlie. 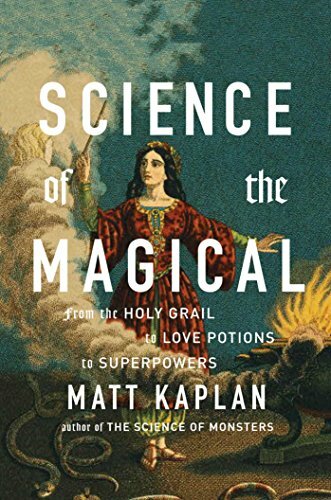 Then, as Simon and Schuster asked Matt to write another book, this time on the science found in historic magical beliefs and rituals, the conversations got even more interesting. As they talked, Matt and Charlie came to realize that we, as a species, are not actually all that creative. Very little that we compose, write, draw or sculpt comes uninspired. Many of our wierdest and most wonderful creations are shaped by our interactions with the surrounding world. To a certain extent, there is a similarity that can be made to bird nests. Nests are physical structures which can tell us loads about the birds that built them. Are there reeds present in the nest suggesting that the birds who built it lived in a marshy landscape? Are any plants toxic to insects woven into the nest hinting that the birds had to be wary of blood-sucking parasites? Myths and legends are very much the same as they often contain bits of information that tells us much about what our ancestors were seeing and thinking. In the podcasts, blog entries and galleries found on this site you will find Charlie and Matt exploring fictions both past and present and asking themselves just what facts they can plausibly find within them. These explorations have been a labor of love for the two of them. Hopefully they will prove just as enjoyable for you. Science journalist, author, adventure seeker. Entrepreneur, technologist, bibliophile, craftsman, test subject.